Choose the right house for Jenny and Robert in pursuit of happily ever after. "I liked this game as it was easy to play, held my attention and I could follow the couples that were in the previous Dream Day Wedding series. Very good game!" Jenny and Robert are back from their honeymoon and in the market to buy their first home. Help them choose the right house and prepare their nest for happily ever after. Mini games allow you to design furniture that appears in the final scenes of the game, and multiple bonus levels are available if you can meet the tasks at hand. 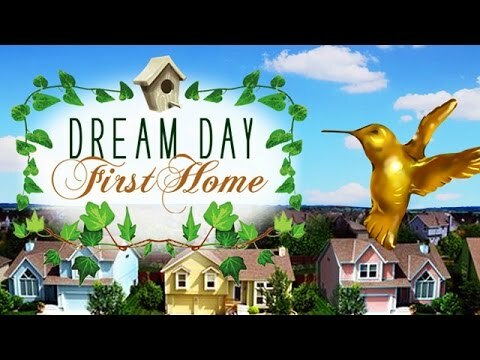 As beautiful as the earlier games in the series, Dream Day First Home has a surprise around every corner. I love this game it really works your mind. I holds my attention and I could play for hours at a time. When I firstplayed this game i was hooked. I played it straight for 5 hours! It's really fun. I bought this game because I have all the other ones in the series. I like that you get to play two games, as there are two different houses to search through.